Before you go looking it up, don’t bother. I’ve done the legwork. I’ve called them all and this is it. It’s Week 7, so opening days and early season games don’t count. And there have certainly been matchups in this rivalry’s history that were crucial to one team or the other but never this important to both teams at the same time. And there have been wild games, like Jacksonville’s Hail Mary win in 2010 or the Texans prevailing in the overtime thriller in 2012 to go to 9-1. But in both of those, one of the teams was going nowhere in the larger context of the season. This is for the division lead. And it’s possible that it’ll be for sole possession of it. By kickoff, we’ll know if the Titans lose to the Chargers in London. There’s a lot of football left. A loss here is hardly a death sentence for either squad. But a win is a mid-season check mark that things are headed in the right direction on the way to capturing the division. A side note on Tennessee: They’ve beaten both these teams. Neither game was a masterpiece and both could have easily gone either way but they didn’t. So if the Titans win this weekend, they have the edge in a two-way tie, albeit with nine games and many possibilities remaining. This is the first time Deshaun Watson will start against the Jaguars. Last week, he gutted it out and came up with four big throws at the end to help beat Buffalo. He’s been a full-go at practice as opposed to last week’s limited participation status. The fact that some media types evaluated him in vacuum, ignoring that he was making his 12th start, without full practice, against a top 10 defense, is laughable. But I’ll save that for another platform. It’s going to be crucial to find some yards on the ground. In Jacksonville's losses, their opponents have carried the ball 30 times or more. The Jags are hungry and upset, having lost two lopsided games on the road. Bowing to the Chiefs at Arrowhead is understandable. The 40 point barrage they suffered through in Arlington was a bit of a head-scratcher. The Jacksonville offense hit the injury iceberg and they’ve been trying to plug the holes. But the defense has enough gas to slow down any attack in the league, particularly at home, where they beat Tom Brady. With Houston’s defense on the rise, this could be a low scoring, physical battle in which a big play or turnover in the fourth quarter determines the outcome. Sound familiar? 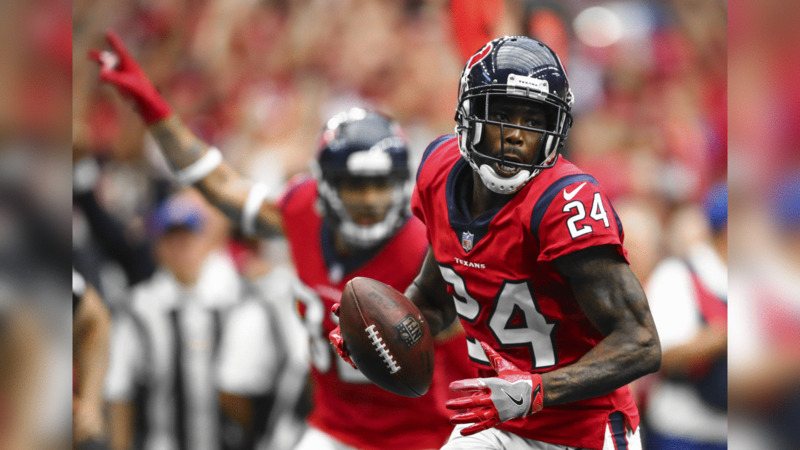 While the Texans have been winning, they are not neglecting the fact that they must improve in red zone execution to make life easier on themselves. Special teams has contributed to dramatic improvements in drive starts and defensive field position. Now it’s the offense’s turn to find a way to the end zone more often to take some of the stress away from the fourth quarter. This will be a fun one. It might not be the way we thought it would come about, but here we are approaching mid-season with a Texans-Jags game for the lead in the AFC South. Enjoy the weekend. Check out the best Week 6 images from Texans team photographer Zach Tarrant. Presented by Houston Methodist.